As competitive cyclists and athletes, we are driven by a philosophy of continuous improvement and goal achievement. As coaches, we apply this philosophy as experienced mentors dedicated to the achievement of our clients cycling and fitness goals. My work ethic is pretty simple...old school blue collar hard work. Bart loves to go fast, he even raced cars before re-finding bicycles. He has always been around things with two wheels. From a factory BMX racer in the 80's, to dirt bikes, to eventually falling in love with the road racing discipline of cycling. Finding the time to train is challenging, but it can be done while working a full time job and chasing kids around to the soccer fields, track meets, and dance classes. Bart is currently a competitive category cat 2 masters road racer that has won stages in The Tour of the Catskills and The Killington Stage race as well as a four-time New England Regional Time Trial Champion. He has competed in all aspects of competitive cycling - from local practice races to USA Cycling National events. 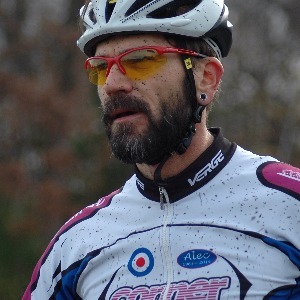 He is also already picking up wins in his first full season of cyclocross here in the Northeast. Bart can typically be found at any of the races with his son - who is also an avid cyclocross racer and a New England Regional Time Trial Champion as well! Aside from cycling, Bart has also been around soccer for most of his life - even playing for Rutgers University. He enjoys mountain biking in the off months from competitive cycling and has even done a sprint triathlon. Bart's specialty is cycling. He holds a USAC Level 3 cycling license and works with everyone from recreational to competitive cyclists. Success. Coach Bart Lipinski has been notified of your message.